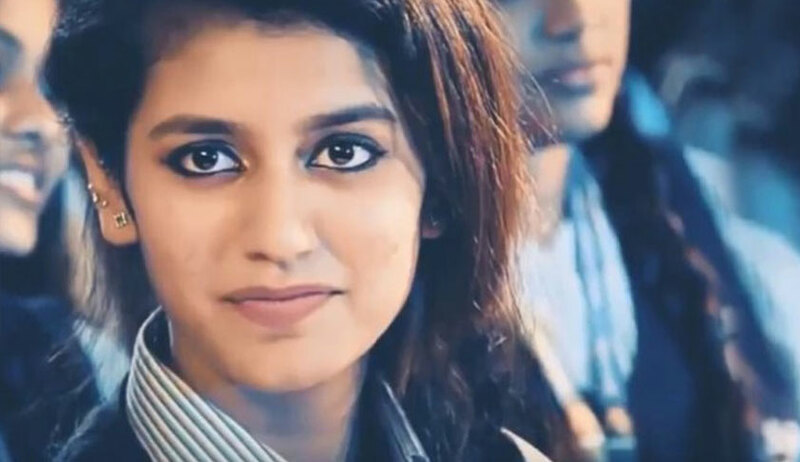 The Supreme Court bench of Chief Justice Dipak Misra, Justice D. Y. Chandrachud and Justice A. M. Khanwilkar on Wednesday granted stay on all criminal proceedings against actress Priya Varrier and the director of the Malayalam film ‘Oru Adaar Love’, Omar Abdul Vahab. The Court has issued notice to the States of Telangana and Maharashtra. The bench also directed that no police complaint/or complaint under section 200 of the Cr. P. C. may be entertained against the petitioners in any other state solely on the basis of the promotional video of the song ‘Manikya Malaraya Poovi’ in the said film. The petitioners had approached the Supreme Court through Advocate Haris Beeran seeking the quashing of the FIR registered in the state of Telangana and the criminal complaints in Maharashtra by the Raza Academy and a group of persons under the aegis of the Jan Jagran Samiti for allegedly hurting the religious sentiments of Muslims. The entire controversy which has resulted in the filing of the criminal complaints and one FIR arises from the lyrics of the song “Manikya Malaraya Poovi” which is a Mappila song, or a traditional Muslim song from the Malabar region of Kerala. The song describes and praises the love between the Prophet Mohamed and his first wife Khadeeja. The petition says that the song has its origin in an old folk song from Kerala penned in 1978 by PMA Jabbar, which was first sung by Thalassery Rafeeq, in the praise of the Prophet and his wife Beevi Khadija. “The claims that it hurts the religious sentiments of the Muslim community are without any basis. What is hard to fathom is that a song which has been in existence for the past 40 years, which was written, sung and cherished by the Muslim community in Kerala is now being treated as an insult to the Prophet and his wife,” say the petitioners. The petitioners have averred that in view of the threat to the life of the young actress and her family, the FIR and criminal complaints are violative of Article 21. It is also contended that the registration of the said FIR and complaints constitutes an infringement of Article 19(1)(a) and 19(1)(g). The petitioners have relied on the recent judgments of the apex court in Viacom 18 Media v. UOI (the ‘Padmaavat’ case), Nachiketa Walhekar v. CBFC (regarding the documentary on Delhi CM Arvind Kejriwal) and S. Khushboo v. Kannaiamal (2010). A direction prohibiting the states against initiating any criminal proceedings or registering any complaint or FIR on the ground that the lyrics of the song have violated the religious sentiment of a particular community has also been sought.